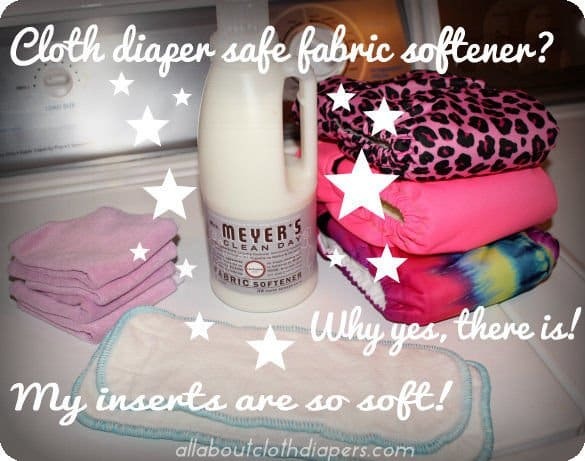 Cloth Diaper Safe Fabric Softener? Why yes… there is! My inserts were crunchy! The fitteds were standing on their own! Oh, and the wipes?? Let’s just say you wouldn’t want to use them too much on a runny nose. And then I found out that it’s OK to use certain kinds of fabric softeners on my cloth diapers. Autumn at All About Cloth Diapers said so!!! Really though, my cloth desperately needed some softening up. I already have a bunch of wool dryer balls in my dryer to help with that. They are great to stop static in clothes as well. They are also supposed to reduce the amount of time everything takes to dry. But I think you need the heavier, bigger wool balls and at least 8-12 them to accomplish that. 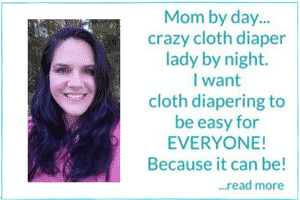 I am pretty sure that I heard about Mrs. Meyers Fabric Softener on one of the cloth diaper chat boards I am in. Someone mentioned how heavenly the Lavender smelled. While I know that many of you are scent free either for medical or personal reasons; that’s just not how I roll! I am a bit of a pretty smell junky. And this stuff really does smell amazing. It reminds me of what a visit to a spa might smell like. I can almost hear a gentle brook running and I feel so relaxed. Listen, we are moms, so we need to imagine a little tranquility once in a while, right? If the Lavender isn’t your thing there are six other scents: Basil, Lemon Verbena, Geranium, Sunflower, Rosemary and Bluebell. Unfortunately, there is no unscented version currently available. Once I found Mrs. Meyers Fabric softener, I stopped using my usual Downy on my regular cloths too. I came to realize how many bad chemicals most commercially available fabric softeners contain. While everything is made of chemicals, it’s nice to be able to cut back where you can. How do you use it? Well, I don’t use it every load and I wouldn’t recommend that you do either. Also, while I’ve never had an issue personally, some have mentioned not to use it on microfiber inserts. When I have stiff inserts out of the dryer I know the next wash will include Mrs. Meyers. Just follow your normal wash routine and add a half cap full (1 oz) to your final rinse cycle. Then ENJOY! I have been using either Ecover or Mrs. Meyers Fabric Softener for over a year now and have had no problems. 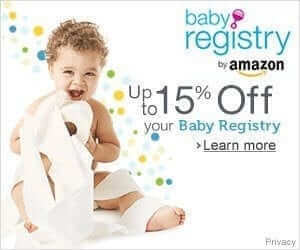 I would say follow due diligence and do your own research to determine if using these fabric softeners on your cloth diapers is the right decision for you. I live in Mexico and I can only line dry cause we don’t have a dryer and I don’t have access to the fabric softener you mentioned… My question is do you have any other tips to make my prefolds soft again? So people use vinegar as a natural fabric softener. Do you know if Melaluca fabric softener is ok to use? Supposedly their products are natural and safe, but I’m not sure what I should be looking for in the ingredients that I would want to stay away from. Do you know anything about method brand fabric softener? We have the same issue with our pre folds being very crunchy after line drying, even with a quick dryer fluff. My husband started putting the method brand fabric softener in when he washed them, and I yelled at him because I thought you weren’t supposed to use fabric softener at all. Do you think it would be ok to continue using? Valerie, they responded to my email. Here it is: Our laundry detergent is safe for cloth diapers but I wouldn’t recommend using the fabric softener. Hope that helps. If you have any other questions or concerns, please do not hesitate to call or email me directly anytime.